Fill your heavy duty clearomizer with Peach e-liquid and attach to your favorite MOD and acquaint yourself with huge luscious clouds of peach scented vapor! The taste will knock your socks off. This is fabulous to vape all on its own, but you can mix it with so many of our other fruit flavors as well. Mix with Cheesecake flavored e-liquid for a delicious pastry treat sensation. Or mix with Pina Coloda to add some Southern flair to a tropical classic. The mix-ins are endless. 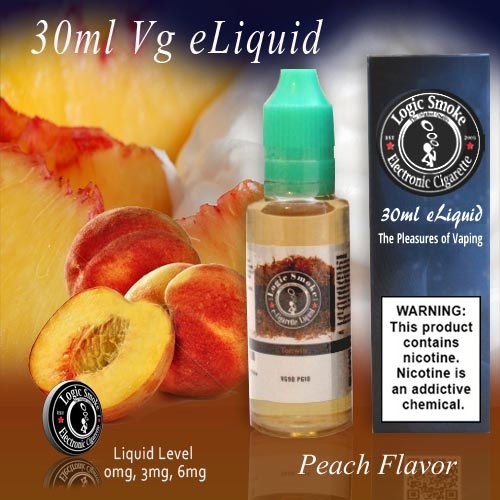 Check out all of our fabulous e-liquid flavors today!